9Bar gluten free snack bars are handmade in their factory in Wales and use natural ingredients making them healthy snack bars. 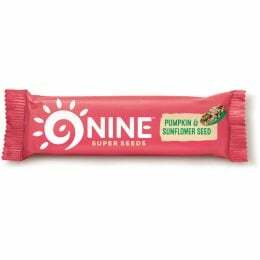 Because it is completely natural, 9Bar is completely free from wheat, gluten, dairy, lactose, yeast and egg, which means the company produces organic snacks perfect for vegetarians and people with any allergies. 9Bar produces reasonably priced healthy snack bars with a delicious taste and are an excellent source of energy, packed full of vitamins minerals and other nutrients.